St Martin’s Courtyard is easy to miss but well worth finding as it’s a Covent Garden shopping and dining destination away from traffic. 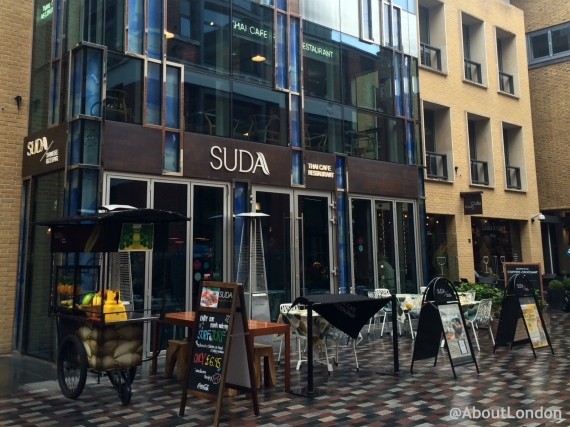 One of the restaurants is SUDA Thai which offers regional Thai cuisine that’s great for sharing. Dining is on the ground floor and first floor, plus plenty of space outside in the courtyard too. I visited with my daughter to try the Lunch Meal Deal menu which is two courses for £10.95 or three courses for £13.95. We dined inside on the ground floor and while I commented that it was a bit dark inside my daughter pointed out she thought the images of sacks on the walls made it look as if we were inside a ship and she liked that. She also liked the upbeat background music and the TV screen which was initially showing scenes from a Thai festival but changed to Top Gear. I thought that was odd but she was happy watching. At lunchtime we saw lots of local workers coming in for a quick lunch for also shoppers stopping by and other families. 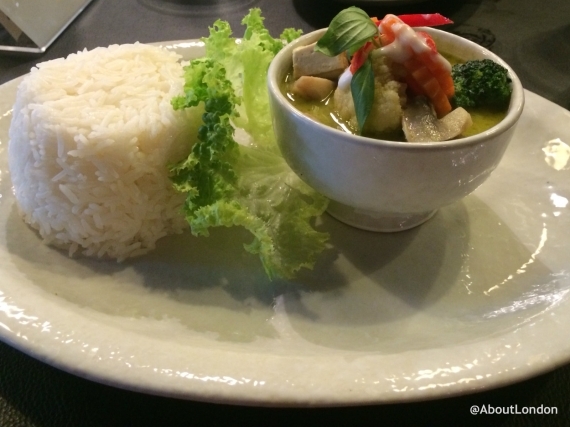 From the Lunch Menu we chose Porpia Tod (crispy spring rolls) and Pad Thai (stir-fried rice noodles with tofu), and Gaeng Kiew Waan Pak (mixed vegetable green curry with rice) and ice-cream for dessert. All arrived quickly which is great when you have limited time in your lunch break. 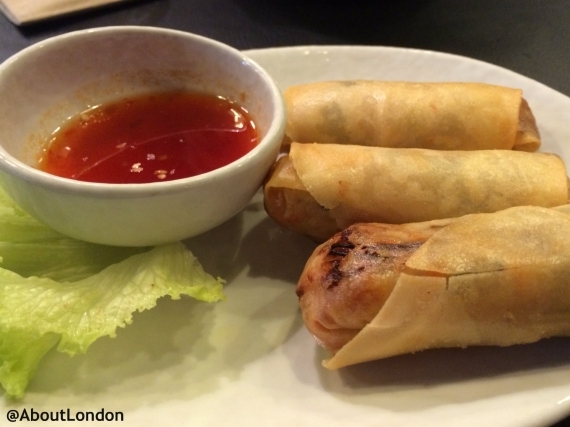 The spring rolls got a big thumbs up from us both as they were delicious. 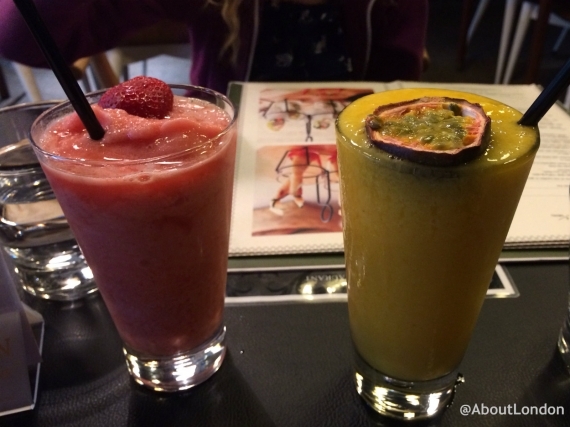 I’d happily go back again and just order some of these to share and a couple of fruit smoothies. We shared our main meals and I was pleased neither was too spicy so we enjoyed both. 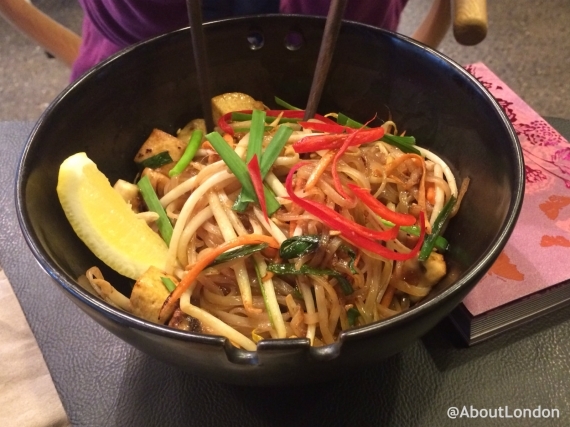 I did think the Pad Thai was much bigger than the green curry and rice though. While my daughter had her ice-cream dessert (I have no idea how she could eat any more! 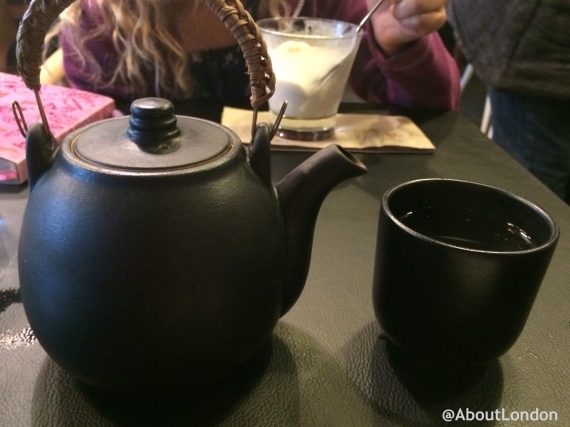 ), I enjoyed a pot of Lemongrass Tea which came in a small black teapot with a handleless Chinese teacup. The tea was delicious but I had to wait for it to cool down as the cup was too hot to pick up for some time. All in all, we had a lovely lunch and will definitely be returning. The cocktail menu also looks good so I think this would be a great place to bring friends on a summer evening.